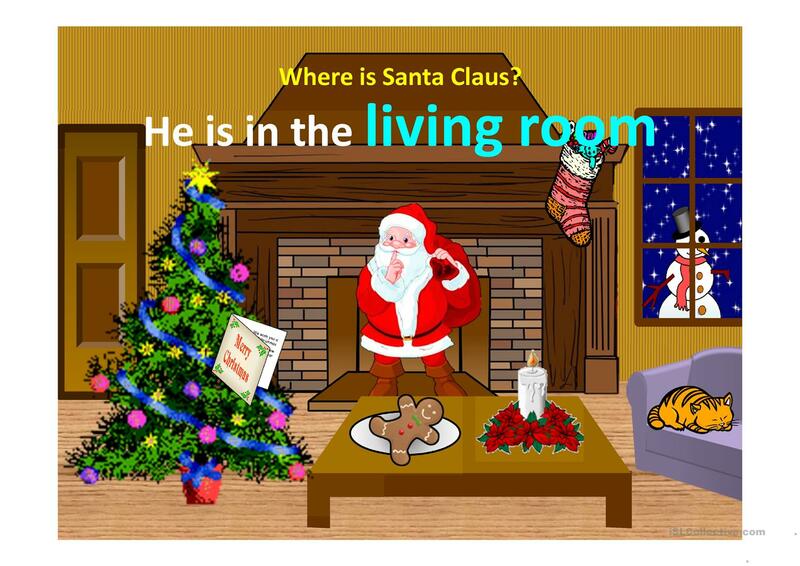 This Powerpoint presentation is a guessing game on parts of the house. 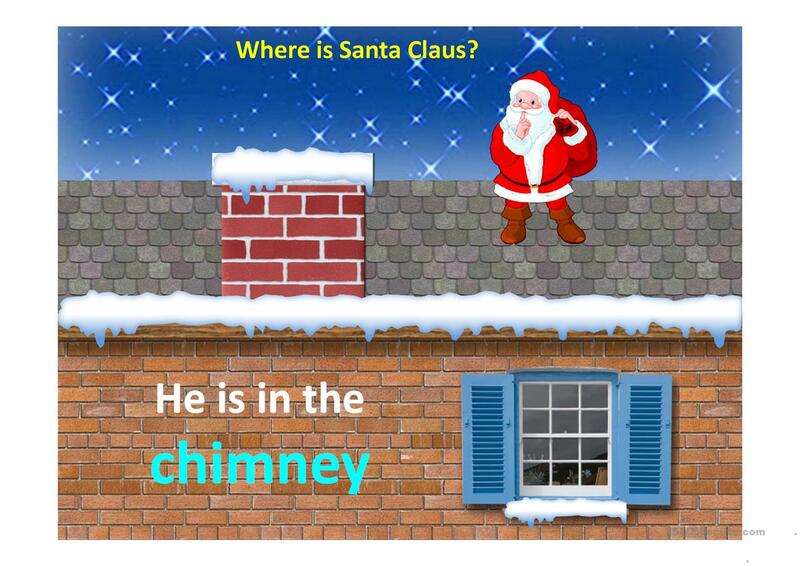 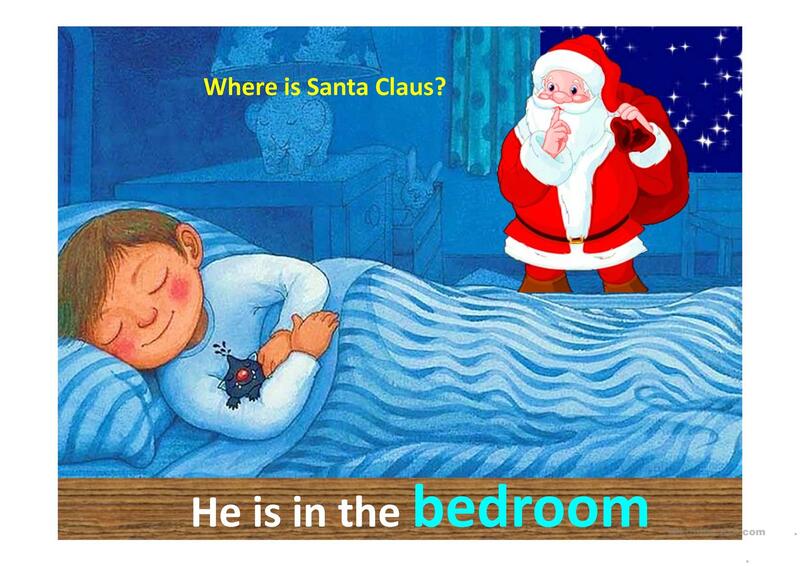 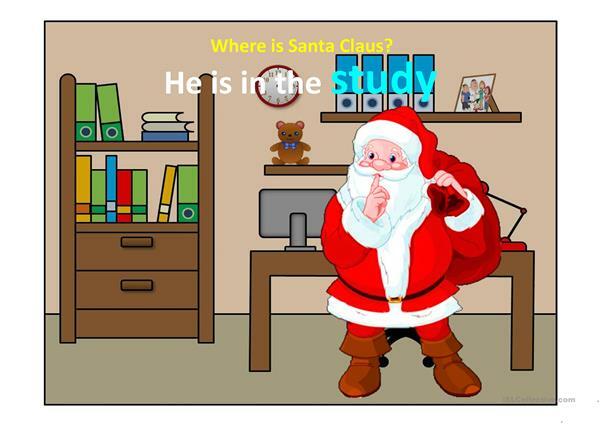 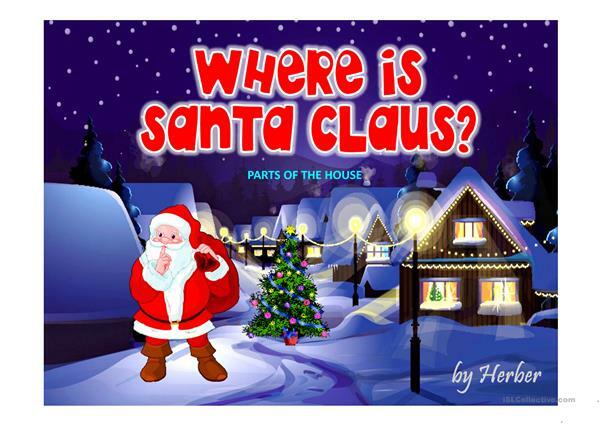 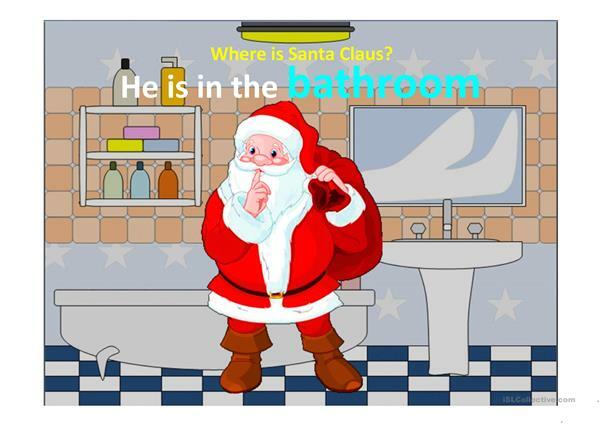 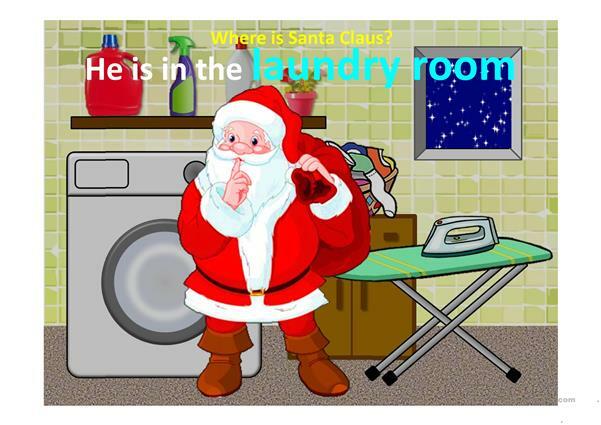 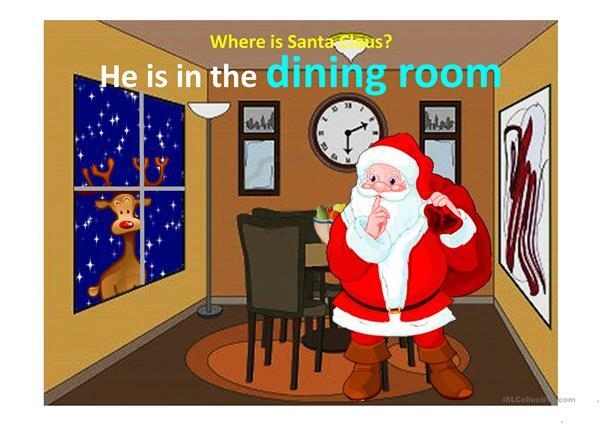 The students have to say the name of the room where Santa Claus is. Click on the slide to check. This printable, downloadable handout is a great resource for elementary school students, kindergartners and nursery school students and students with special educational needs, learning difficulties, e.g. dyslexia at Beginner (pre-A1) and Elementary (A1) level. 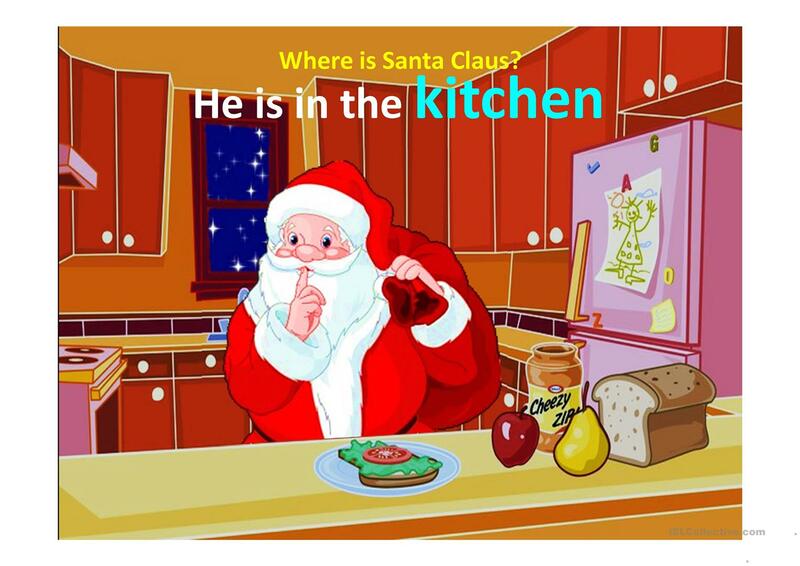 It is a useful material for consolidating Nouns in English, and can be used for enhancing your students' Speaking and Reading skills. It centers around the topic and words of Home. It includes the answer key, too.